Looking for more tips on how to shop in Paris like a local? Be sure to get our 2019 INSIDR Paris Shopping Guide! If you are wandering around Paris, most probably you will hear of the famous district of Le Marais. First of all, this area is famous for many different things, not only for one. However, today the main focus is the Le Marais’ local shops. Here is INSIDR’s selection of the best local shops in Le Marais in Paris for you! Enjoy the vibrant displays, delightful and artsy streets, and the ambiance. 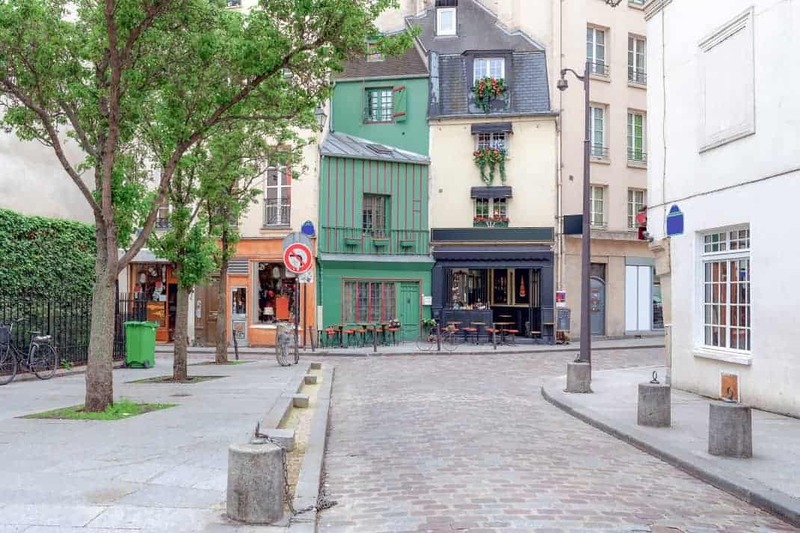 Le Marais is one of the oldest, artistic and the most stunning districts here. You might be going there to visit an art gallery. Yet a minute later you might find yourself at very nice boutiques selling unique items. Maybe, you can sit down in a very little cozy café to have a dessert and a coffee. Le Marais is a beautiful district to spend at least a day. 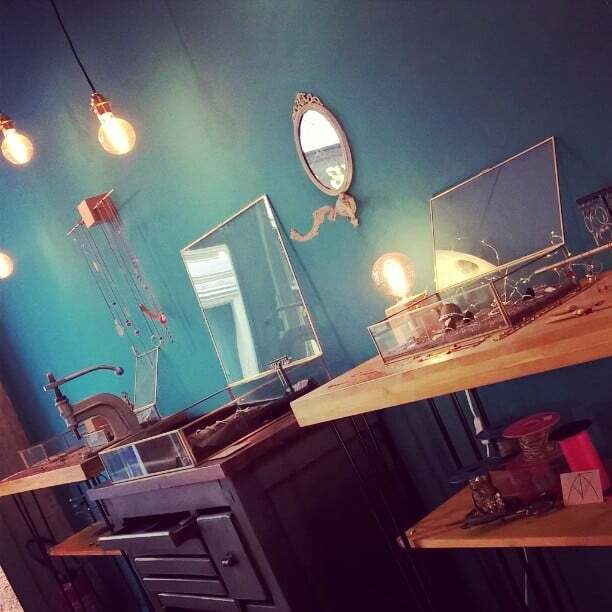 You will fall in love with these beautiful local shops here! Valentine Gauthier is the name of the contemporary, urban and refined style clothing brand. And it’s also the name of the founder, creator, and designer of the brand! She was selected as the winner of the International Festival of Young Fashion Designers of Dinar in 2006. The following year she decided to create her own brand. Two years later, she opened her first shop in Le Marais district. The designer emphasizes that her aim is to create an ideal and desirable closet. The secret of her work lays behind the quality of materials used in her atelier. Also, including the fabrics, techniques, composition and also the craftsmanship. Her design doesn’t necessarily reflect one style yet you can see the perfect juxtapositions of opposite aspects. She performs utterly amazing especially on this. There are many feminine pieces in her collections with masculine cues. Valentine continues to create wonderful pieces in her atelier which you can see in the showroom in the shop at Le Marais. Now, she works on an additional project with her team. The new boutique will be themed around Holism. It will focus on the home and art of living pieces which would be either very unique or hand-made items. If you think you know something about the honey, wait until you visit Miel Factory. The brand and the shop was born with the entrepreneurship of Rémi Porthault in Le Marais district. Miel Factory – miel means honey in English, is a heavenly place to taste, buy, learn about honey and expand your knowledge about beekeeping and honey making process.
? VACANCES ? La Factory fermera ses portes du 5 au 12 août inclus. Du 14 au 24 août, la boutique sera ouverte de 13h à 19h ! Bel été à tous ??? The founders believe that the honey is one of the most common ingredients that has been consumed all around the world over the centuries. Now, they have an extensive collection of honey from all around the globe, including Yemen and Madagascar. Each product offers you an exquisite journey of a taste. You may find avocado, coffee tree, coriander or even lychee honey here. The brand firmly supports the sustainable agriculture and production for honey making. They also underline the importance of the bees for the biodiversity and living cycle. Miel Factory opens up another world for the honey and it does in a very professional way. If you are interested in honey and honey making, you might think about joining their honey tastings to embark upon the vibrant world of the honey and explore more. You can also grab your Paris souvenirs from here, they will definitely be tastier and more memorable than a regular gift! As a traveler, it is quite usual that you might want to buy some souvenirs and gifts from Paris to give it your friends or simply to keep it to yourself to remember this trip. Bring France Home is the shop that can save you from the cliché selection of travel gifts such as low-quality magnets, shot glasses with awkward prints and lame postcards. Here you will find unique items from France, made in France and that you can continue using and remembering your visit! Bring France Home is a brand founded by two entrepreneur women: Mathilde and Nathalie. Both wanted to create a platform where the travelers could buy something that they can “use and remember by” the country they’ve visited. As a result, they created this brand. They opened up this shop called Bring France Home. Here you can find actual and memorable gifts for your friend and family or souvenirs to yourself. The shop has many different items available for every kind of budget. The variety of items are quite a lot too. You may find cheese plates from the Faience Manufacture of Gien, locally-designed tee shirts, porcelain tumblers or card games and they are all made in France! C’est l’été indien: on sort les Tours Eiffel. It’s Indian summer in Paris. We are taking the Eiffel Towers out! #eteindien #indiansummer #toureiffel #eiffeltower #eiffeltower? #paris #parislemarais #parislemarais?? #placedesvosges #ruedebirague #madeinfrance?? #fabriqueenfrance #originefrancegarantie #expressocup #teamug #saltedbuttercaramellollipops #lollipops #darchocolate #organicchocolate @revol.porcelaine @lechocolatdesfrancais @vilac_toys @ricoandco @bonbonsskendy #bringfrancehome #bringfrancehome?? ??? Mathilde and Nathalie are great at suggesting you the best souvenirs to take home. They will explain you the background, the producer and the importance of the item as well. By the way, you might want to take everything here, all items are gorgeous and unique in their own way. If you want to buy the best authentic French gifts in Paris, pay a visit to Bring France Home and – really do that! Are you looking for the ultimate place to buy something for a man? If that’s the case, Les Raffineurs is exactly what you are looking for. Probably, you are thinking that it is hard to buy a gift for your dad, your boyfriend or maybe your little brother. However, you won’t find it hard if you come here! This shop is solely dedicated to the men and their lifestyle – in every way possible. It is full of stuff very elegant, useful and thoughtful that you can’t even imagine. There is a piece for every kind of men here. The items are selected very carefully and displayed at the shop. Certainly, you can feel and experience the quality and the character of the products here are top-notch. Definitely, you wouldn’t leave this shop easily! He is interested in alcoholic beverages? There is a section for books and kits for making them! Loves food and gastronomy? Enjoy the local products, food maps, and books, kitchen equipment! Does he love elegant yet masculine accessories? Get him one the most refined watches that he can own. Les Raffieneurs offers a different world and extraordinary products. However, being a woman doesn’t mean you won’t find something here for yourself! After all that you should know, the collection is great, the decors, book, and themed maps are quite notable as well – of course for men but also for women! You might have heard this brand before because CODAGE Paris now is a world-wide known skin-care brand. The brand came into the world in 2010 by two talented people: Julien and Amandine Azencott. They grew up in a family where they were surrounded by doctors and pharmacists.Inspired by the connection of pharmaceuticals in France, they decided to follow the path and established their own skincare brand. CODAGE Paris says each skin has a different need and each one has a different structure. So, that’s why they started to create made-to-measure products. In this way, they can ensure their consumers experience the best results with their skincare products and routine. Luckily, in Le Marais, CODAGE Paris has its own boutique which you can go and make a diagnostic test to figure out exactly what your skin needs with the help of experts. Their products are unique, natural, vegan, sustainable-friendly and also not tested on animals. If you are looking for an expert care for your skin, Codage Paris is your address. La Vaissellerie is the ultimate kitchen and dining ware shop at Le Marais. Here you can find anything from a nice porcelain set to small cheese cutting boards and knives. Well, simply imagine something you would like to have at your kitchen, it is here somewhere hidden at La Vaissellerie! This quirky fun has so much to offer to you. You may not notice from the outside but once you step in, you will realize that it is impossible to leave here empty-handed! There is literally everything – even a picky person would have something from here! La Vaissellerie – which literally means tableware in English, has a very vast collection of different porcelains. These are not just regular ones but has a high quality with moderate prices. The shop will also help you find authentic souvenirs from here. Unlike other tourist stores, here you will be able to find something unique and usable item as a gift – which is perfect! Les boutiques seront ouvertes samedi 14 juillet ?????????????????? If you let them know you will be traveling with the items you’ve bought, they will carefully wrap the gifts and make sure it will be okay on the way. The staff is super friendly and ready to answer your questions all the time. Along with their boutique in Le Marais, they have other three around Paris as well. If you want to buy some genuine and elegant items from Paris for your kitchen, make sure to stop by! Koshka Mashka is a French brand that focuses on the high-end segment of women fashion. The boutique is owned by Mari, who also takes care of the business and creating the garment collection here. The style of Koshka Mashka is quite eclectic. You may expect something very elegant with refined finishes and cuts but each item has a unique part to represent the Parisian chic as well. Upon request, Mari is also able to prepare made-to-measure clothes according to your preference and needs as well. The process is, of course, different than ready-to-wear garments but definitely worth it! Not to forget that all these items you see in the boutique are produced and created within the borders of France. So, in case you are looking for a unique piece for your closet from Paris, Koshka Mashka will be a great spot to do so! Along with different types of clothes, you may find here also some accessories such as hats, necklaces, bracelets, rings or earrings. The collection additions show up regularly at the shop as well. Find Koska Mashka at Le Marais, have a chat with Mari and find your own unique look there! Dominique is a one of a kind jewelry designer located in Le Marais. Inspired by the crafty side from her seamstress grandmother, she decided to follow her path to create something for the people. After working in different workshops and creating here the independent line of jewelry, she opened her boutique in Le Marais. 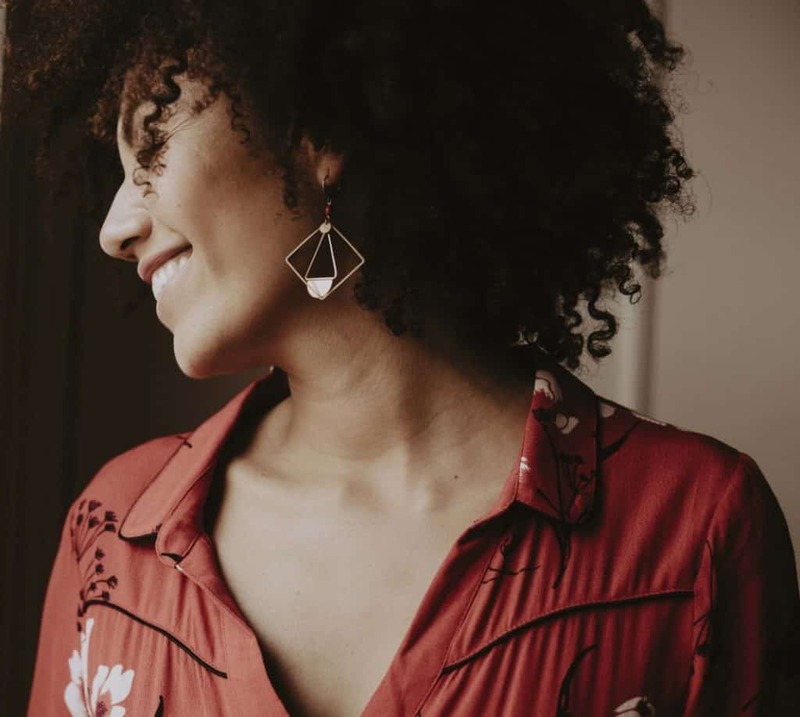 Dominique creates timeless pieces for her customers. Each of her designs carries something from her personal touch. Dominique personally says that she is inspired by many different things. Sometimes it can be the daily poetic details, the beauty of nature. On the other hand, it might be something personal from her life. Such as her travels or the music she was listening to. Either way, she always tries to create unique pieces that are authentic for her clients by putting her know-how and passion for her work. While you are wandering around Le Marais, pay a visit to Dominique Dahan. See her amazing jewelry collection. Check out the beautiful pieces of rings, necklaces, body accessories, earrings. You will definitely find something unique for yourself here. Dominique will be waiting for you and she will help you to find your piece!